A collection of my studio jewellery from my custom and one of a kind pieces. Found turquoise sea glass handset set in fine silver with sterling silver chain. Found turquoise sea glass handset set in fine silver with sterling silver chain with secret design on back. Found sea pottery handset in fine silver with sterling silver chain. Found sea pottery handset in fine silver with a sterling silver chain and secret design on back. Found copper shell from Byron Bay handset in fine silver with sterling silver chain. Found orange shell piece set in sterling silver with periwinkle and turquoise on a sterling silver chain. Found white sea glass handset in fine silver with a sterling silver chain. Found piece of sea crystal in a heart shape, handset in fine silver with a sterling silver chain. Found piece of sea crystal in a heart shape, handset in fine silver with a sterling silver chain. Secret heart design on back. 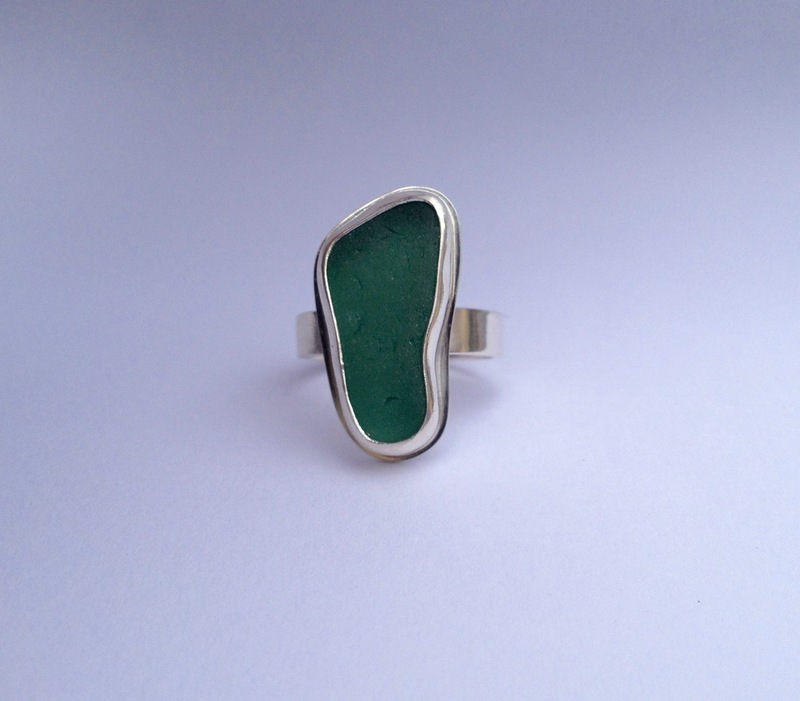 Found kelly green sea glass set in fine silver with a sterling silver band. Found light blue sea glass set in a scalloped fine silver bezel with a sterling silver band. Found sea glass and shell set in fine silver with sterling silver band and chain. 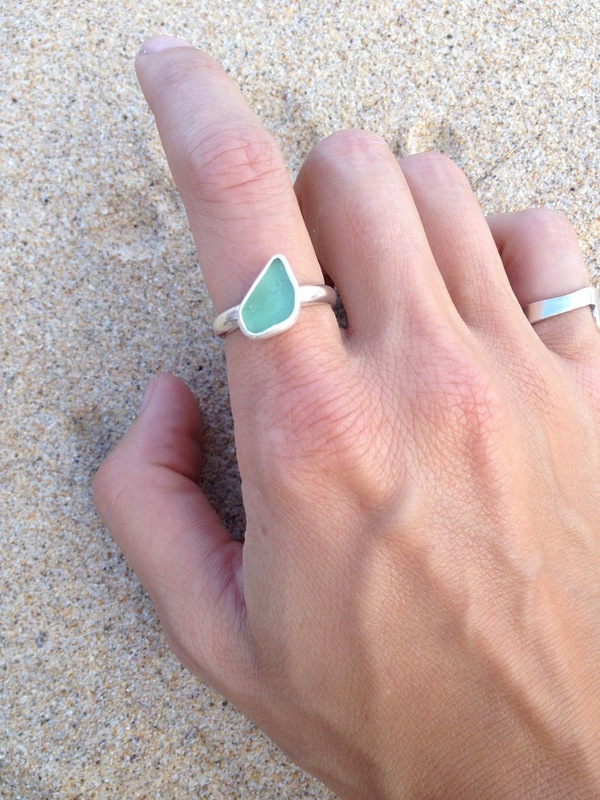 Found green sea glass set in fine silver in two sterling silver bands. Found variety of blue sea glass set in fine silver. Found sea glass set in fine silver with stackable sterling silver bands. Found white crystal heart sea glass and turquoise sea glass set in fine silver with sterling silver chain and band. Found sea glass and limpet shell set in fine silver with sterling chain and band. A variety of sea glass jewellery set in fine silver with sterling silver chains and bands. Australian turquoise opal set in fine silver with a sterling silver chain. Found blue sea pottery pieces set in fine silver with sterling silver chains. Found light turquoise diamond sea glass necklace set in fine silver with turquoise and sterling silver chain. Found green sea glass set in fine silver with sterling silver earrings hooks. Made with a sterling silver band and copper wave. Found Byron Bay shells with turquoise and sterling silver chain and earring hooks. Found limpet shells with turquoise beads and sterling silver earring hooks. 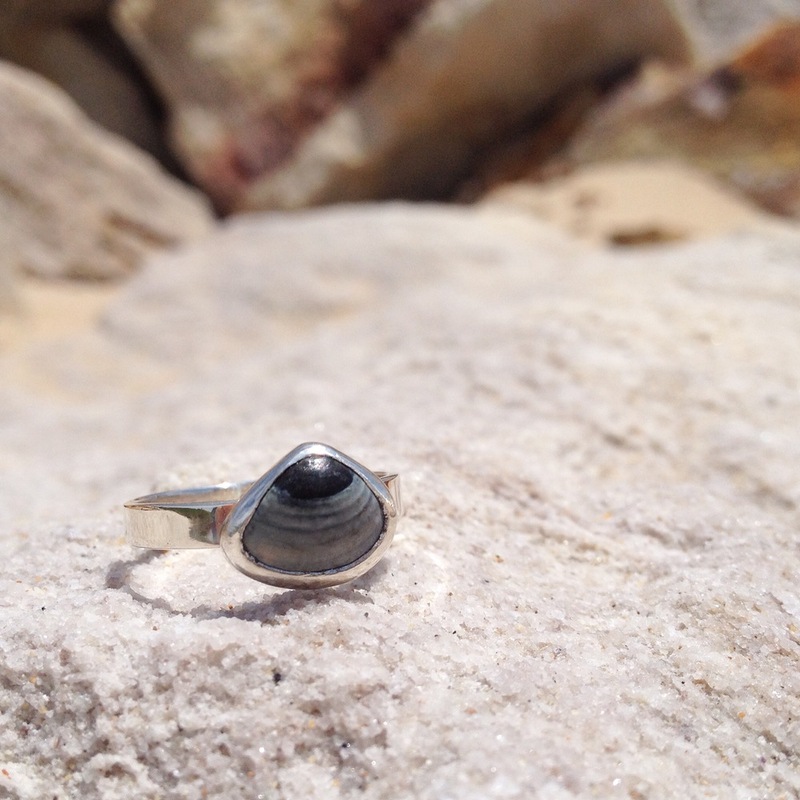 Found shells in Byron Bay set in fine silver with sterling silver chain. A collection of studio jewellery from my custom and one of a kind gallery. If you fall in love with one of these pieces no need to fret I can make a special piece just for you!